Looking to the North, date unknown. John Geiger built the Greenland School, District 23, in 1892 just North of its present day location. In 1900, the building was moved to where it remains today. The school hosted grades 1-8, and then students had to go to Castle Rock for high school. Electric lights were installed in October of 1936, the school being the first in town to receive electricity because of a Halloween program to be presented to the community. 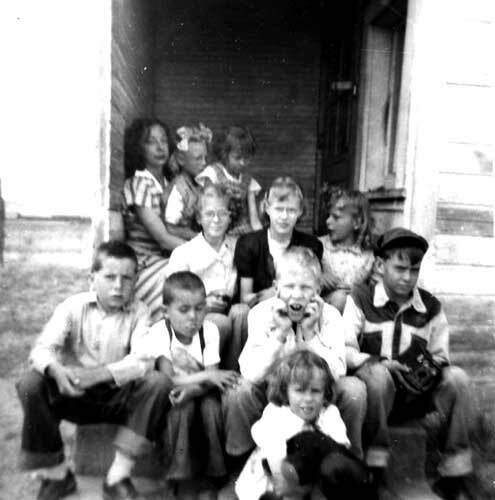 The school closed in 1957, when the consolidation to Douglas County District RE-1 was completed and all one-room schools were closed. Photo circa 1950-1951. 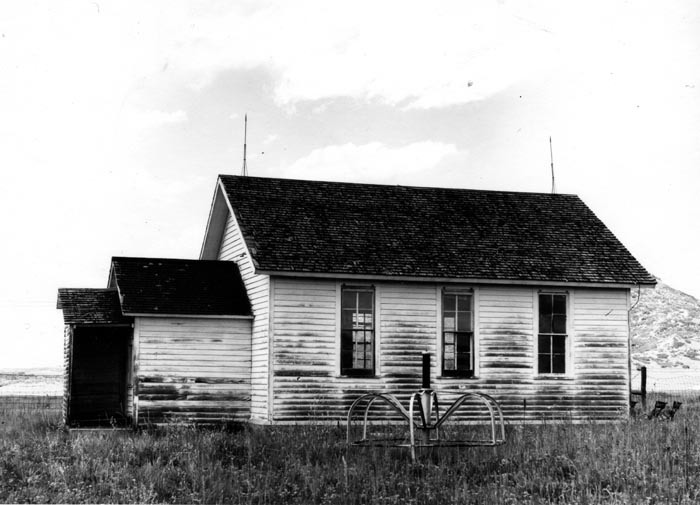 The student body, of this one room school house, under the instruction of, teacher, Alice Hognel. 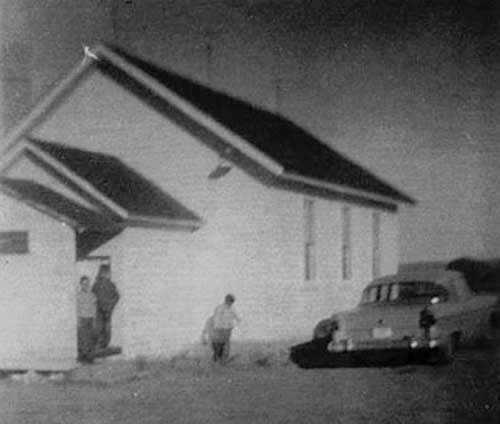 Greenland School house in 1955.